SnapChat approved an ad earlier this week that showed “slap Rihanna” or “punch Chris Brown”. The ad seemed to reference the domestic violence altercation between the two in a weird sick joke. 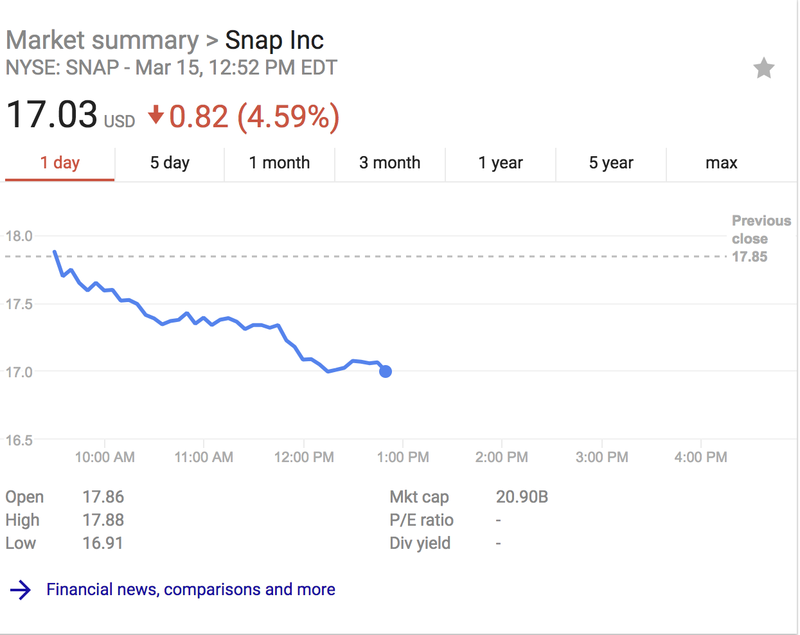 SnapChat has since pulled the ad and sighted that it violated company and was approved in error. Rihanna doesn’t seem to be interested in the “app-oligy” as she took to Instagram to condemn it and call them out. Now SNAPCHAT I know you already know you ain’t my fave app out there. But I’m just trying to figure out what the point was with this mess! I’d love to call it ignorance, but I know you ain’t that dumb! 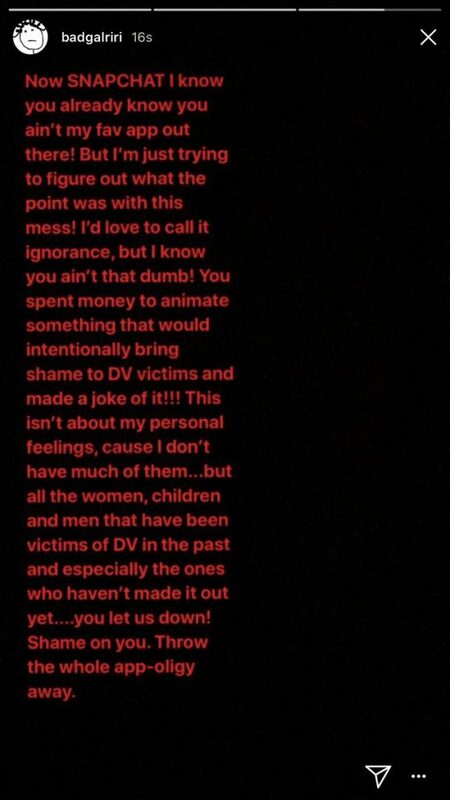 You spent money to animate something that would intentionally bring shame to DV victims and made a joke of it!!! This isn’t about my personal feeling, cause I don’t have much of them…but all the women, children and men that have been victims of DV in the past and especially the ones who haven’t made it out yet… you let us down! Shame on you. Throw the whole app-oligy away. Queen Rih has spoken and the statement was bold. SnapChat made a mockery of many who have been victims of domestic violence and isn’t a laughing matter. Thankfully they’re non-profits like The Butterfly Fly Project who offers support to those who are in those situations. Please check them out and support them. Also here are some tips on how to help someone who is in a domestic abusive relationship.